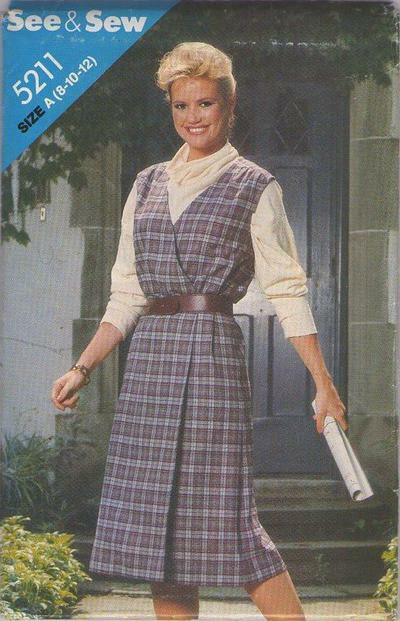 80s Beginners, Retro Office Clothing Patterns - MISSES' JUMPER. Loose-fitting, slightly A-line, wrap dress, 4" (10cm) below mid-knee, has slightly extended shoulders, forward shoulder seams and inside ties. Purchased top and belt.